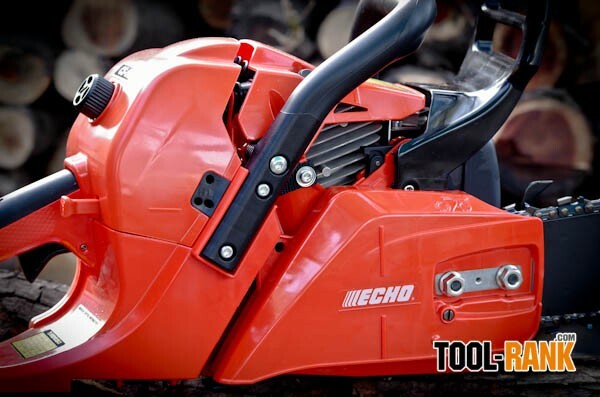 The internet is replete with opinions on what makes a chainsaw a professional grade tool and not merely a homeowner appliance—with many of these viewpoints putting the farm/ranch quality of saw somewhere in the middle. But whether you are a homeowner on a Sunday afternoon; a rancher with an empty woodshed, or have achieved logger status with sights set on the General Sherman itself—you should expect performance and dependability from your chainsaw. 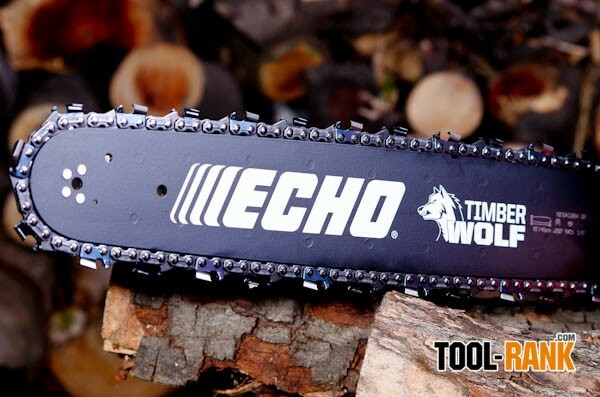 So, in a quest to find what any serious woodcutter would want in a saw, I took a close look at the Echo CS 590 Timber Wolf Chainsaw, which comes with either an 18 inch bar and chain or a 20 inch. With a 59.8 cc engine that puts out 3.89 hp, The Timber Wolf's motto is: The new standard for tough. 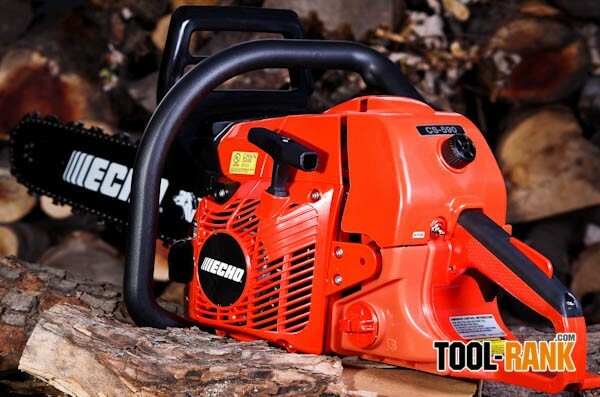 Now, though opinions may abound on how a chainsaw should perform, let's be real practical; whether you're about to fell a tree, cut a pile of firewood, or merely prune a limb, the first thing you'd expect is a chainsaw that'll fire up without exerting more energy than the project at hand. So, let's start at the start. Using an average mid-grade gasoline mixed with Echo's two-stroke engine oil I fueled up and immediately noticed that the tank—which is translucent—allows you to easily see the fuel level. 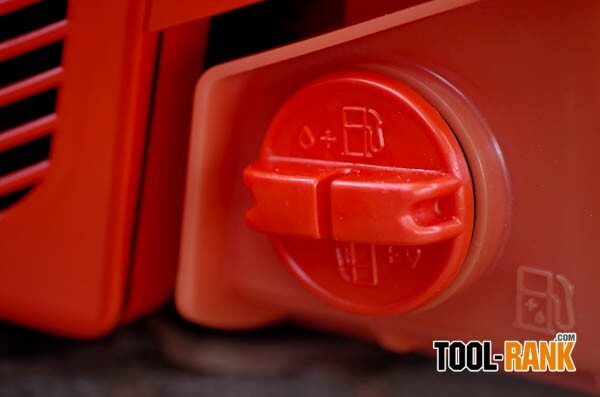 This is a great feature for keeping an eye on refueling without having to remove the cap and find a dipstick (literally a twig). With the saw ready for starting—fuel in the fuel tank, chain oil in the oil tank, the chain brake braked, the choke control choked, and the on switch on—the first thing to do is to press the decompression device. This easy access button makes pulling on the starting cord easier than if you were to fight against a cylinder packed with compression. So, with less than 3 pulls on the starting cord I have saved all my energy for that big pile of logs, and have a saw ready to cut them down to size. My other experiences with two-stroke engines always involved a priming bulb—nothing but problems—and usually the first part to wear out. I am glad that the Echo Timber Wolf starts just fine with out it, adding credence to their motto. Another indication of the Echo Timber Wolf's quest to be the new standard for tough, is the trade-marked: G-Force Engine Air Pre-cleaner. Basically, the pre-cleaner uses a stream of air to draw larger particles from inside the air filter housing, allowing less matter to build up on the filter itself. 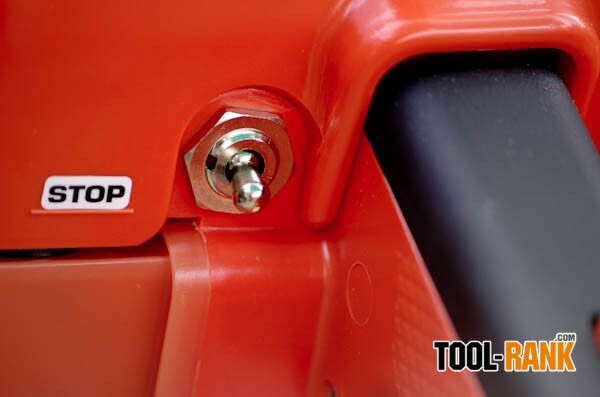 Also, the tool-less filter cover allows the operator to easily access the filter for a quick dust-off. The CS 590 is well balanced and features an anti-vibration system. This vibration reduction system incorporates the use of springs to separate the operator's grip from the contacts to the engine, bar, and chain. Like the suspension of a fine luxury vehicle over a rough road, the body of the saw moves with lessoning impact on the operator. I also like having the chain tensioner located on the side of the saw rather than under the bar. This makes fine tuning of the chain tension much easier—another real plus. 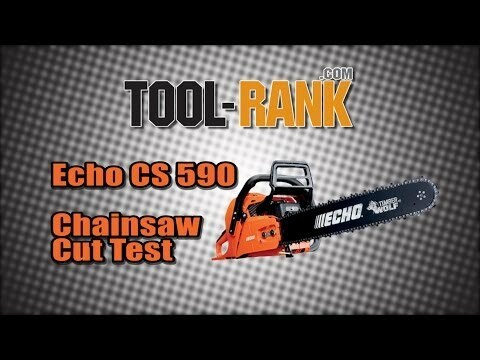 Setting the features aside, some might ask, does the saw make the cookie cut? I found the CS 590 able to power through the driest of hardwoods without bogging down; and this, without tinkering with carb adjustments as pros would have you do. So, the question now becomes, what do I do with these uneatable cookies? 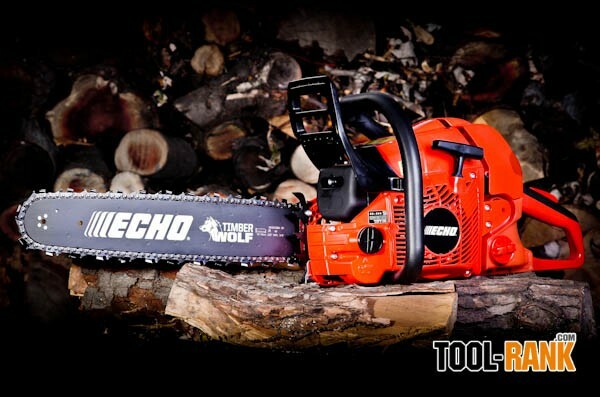 For our tests, the Timber Wolf's toughness is more observed in its feel and construction without trying to deliberately abuse the tool; and though seeing it as ideal for the farm, ranch and land owner, I don't see it as too intimidating for a home owner who does not regularly handle a chainsaw. 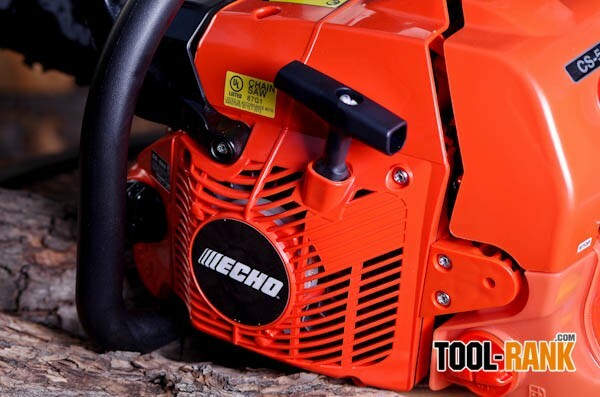 If the average consumer were to take chainsaw bloggers' opinions to heart, that consumer would be relegated to buying an inferior tool that might last a year.